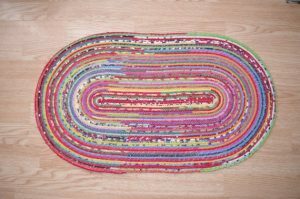 Make one of these beautiful rugs, with minimal sewing. 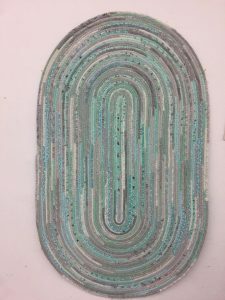 Choose to make a coaster to learn the technique OR dive in and make a full rug to match your decor or give as a gift. This is a great beginner project, with minimal sewing. Learn the technique in the class, some of the work will be done at home.